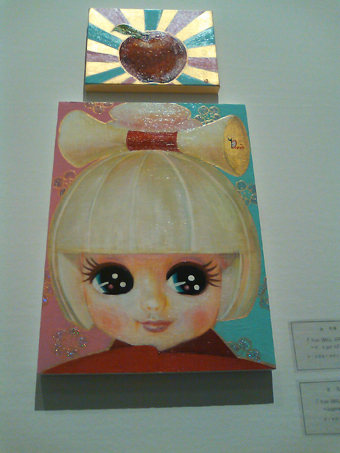 Korean young artist Kim Moohwa’s work, small but attractive, cute Licca-chan face. Titled “from SMALL APPLE ~ It’s just A.P.P.L.E. ~” and “from SMALL APPLE ~ kagamimochi girl ~”. At Shinseido booth, ULTRA004 group show @Spiral(Omotesando, Tokyo). Copyright © Kim Moohwa All Rights Reserved.